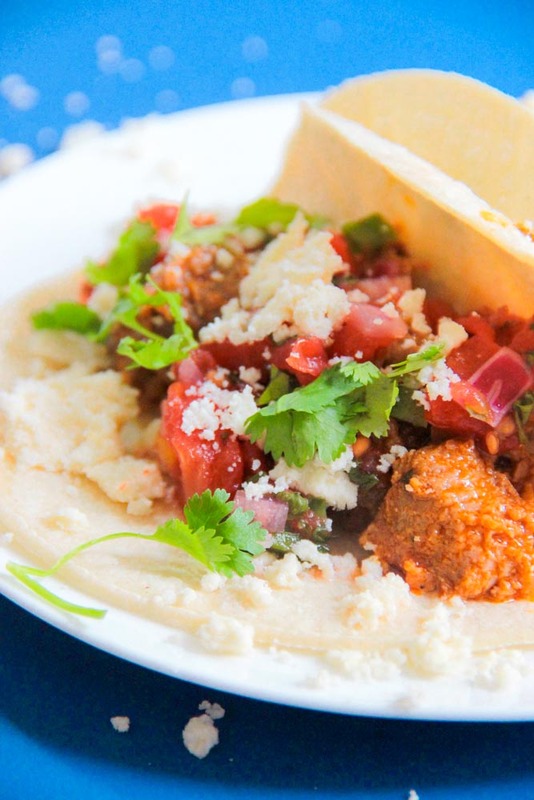 Mexican food is frickin’ awesome, because it’s so easy to get a proper balance between fats, carbs and protein that’s still bursting with flavour! Using fresh herbs can really create a flavourful marinade without the extra calories. Cilantro is packed full of essential vitamins including A and K which are important for vision, blood clotting and bone formation- all pretty important for fitness enthusiasts! 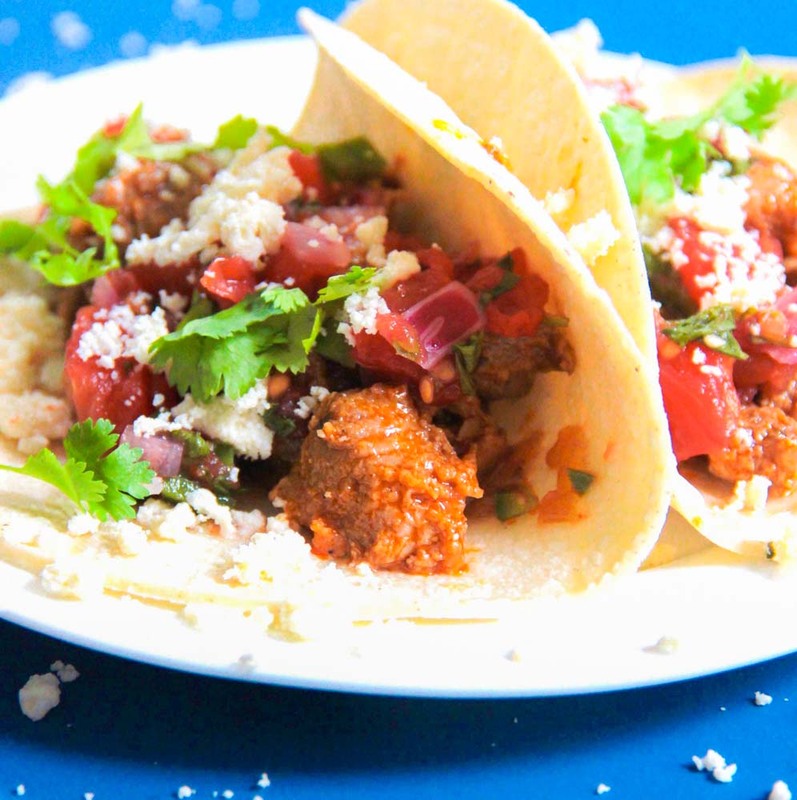 To top it all off, these healthy chicken tacos also use two different types of spicy peppers to really add a fiery fat-burning punch! Want more healthy recipes like this? Grab our 10 ‘go-to’ recipes that make naughty cravings a thing of the past in our free Gourmet Fitmeals recipe pack. Add all marinade ingredients into a food processor and process until smooth. Chop chicken breast into 2 cm chunks and toss with marinade. Let it soak for 30 minutes or overnight. Heat a nonstick pan on medium/high heat and add chicken breast. Cook for about 10 minutes, stirring occasionally until chicken has cooked through and started to caramelize. Remove from pan. Lightly toast the corn tacos in a separate pan for a minute on each side until they become pliable. 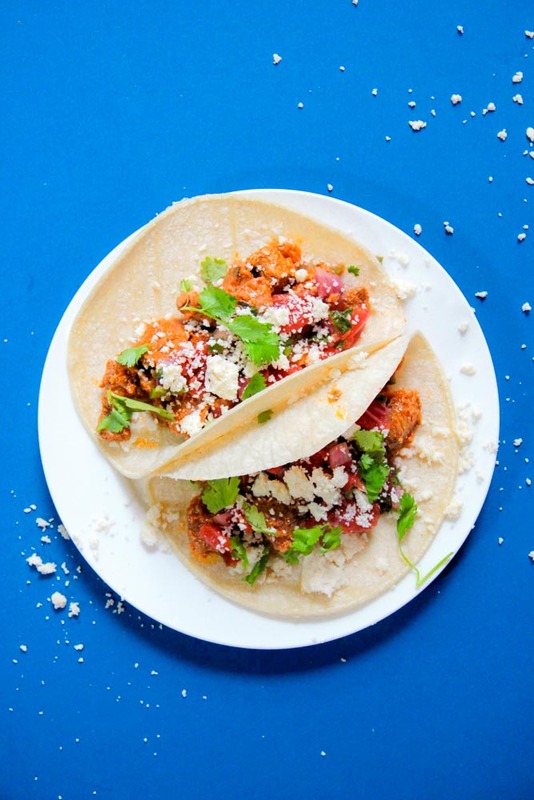 Evenly distribute chicken between tacos and top with some queso fresco, salsa and garnish with cilantro. 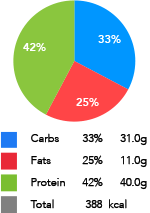 *Note: Macros are given per serving of these healthy chicken tacos assuming 2 tacos in total. Kelsey is a weight lifting junkie living in Brooklyn in the Big Apple! A budding figure competitor, she is a food addict and loves making recipes from seasonal, whole food ingredients. Please check out her blog for more delectable recipes! www.alittlerosemaryandtime.com.